On the morning of August 24 2017, at Room. 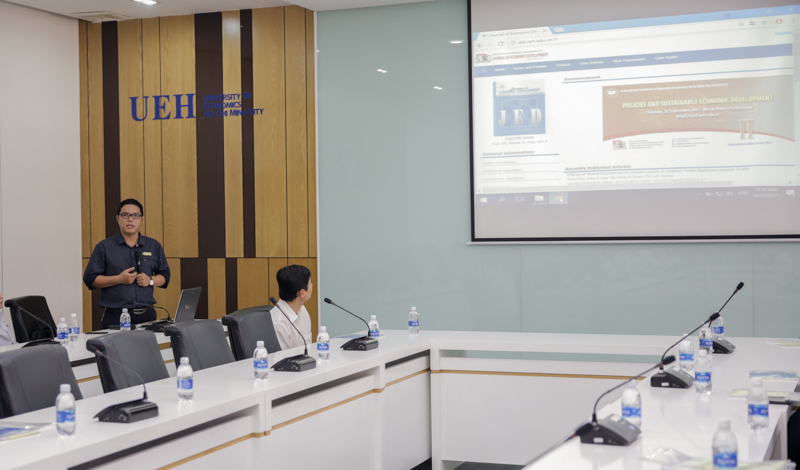 A205 (59C Nguyen Dinh Chieu Street, Ward 6, District 3, HCMC), the Journal of Economic Development belonging to the University of Economics Ho Chi Minh city (UEH) solemnly organized the launching event “Scopus-standard Online Journal and Submission System”. Attending the event, on UEH's side, there were Prof. Dr. Nguyen Dong Phong - President; Assoc. Prof. Dr. Phan Thi Bich Nguyet - Vice President; Assoc. Prof. Dr. Nguyen Huu Huy Nhut - Vice President; Prof. Dr. Su Dinh Thanh - Editor-in-Chief of Journal of Economic Development. The delegates were Assoc. 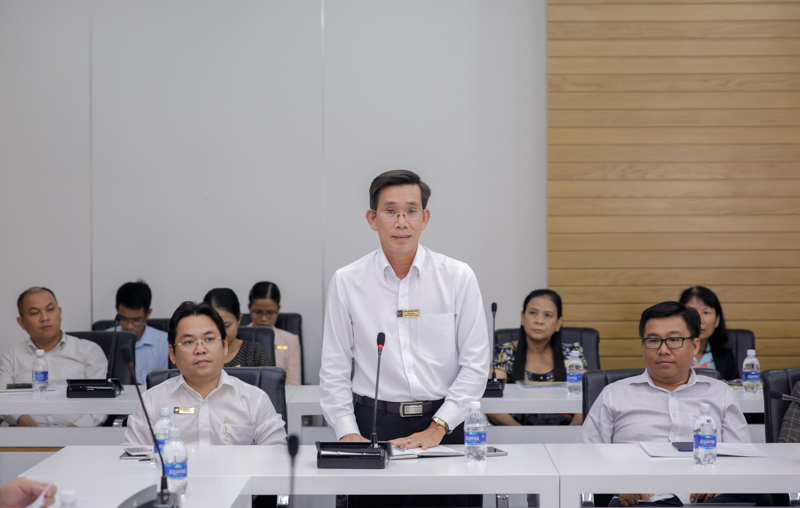 Prof. Dr. Nguyen Van Phuc – President of Open University and more than 40 scientists - members of the editorial board, writers, critics, collaborators and readers of the Journal of Economic Development were invited to take part in the event. 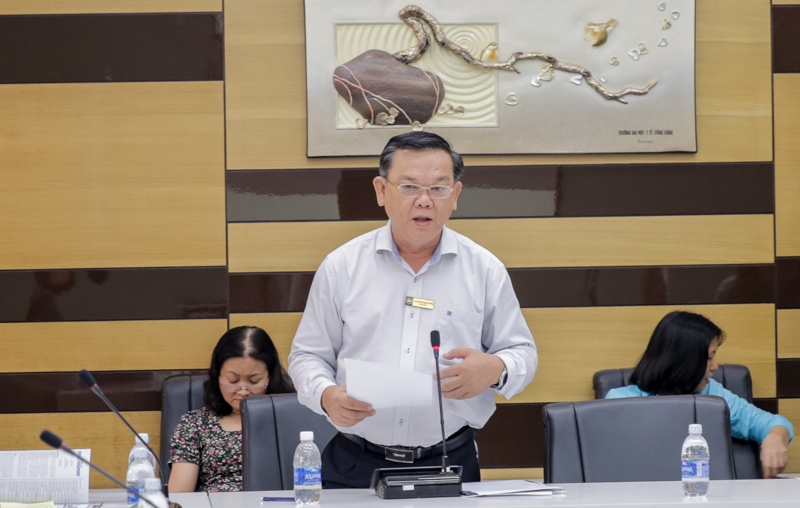 Speaking at the event, on behalf of UEH’s leaders, Mr. Nguyen Dong Phong congratulated the Journal on improving form and content quality, increasingly closer to the standards of international scientific journal. The Journal’s quality currently reached 85% of the standards, being focused on tasks of the editorial board and citation rate. 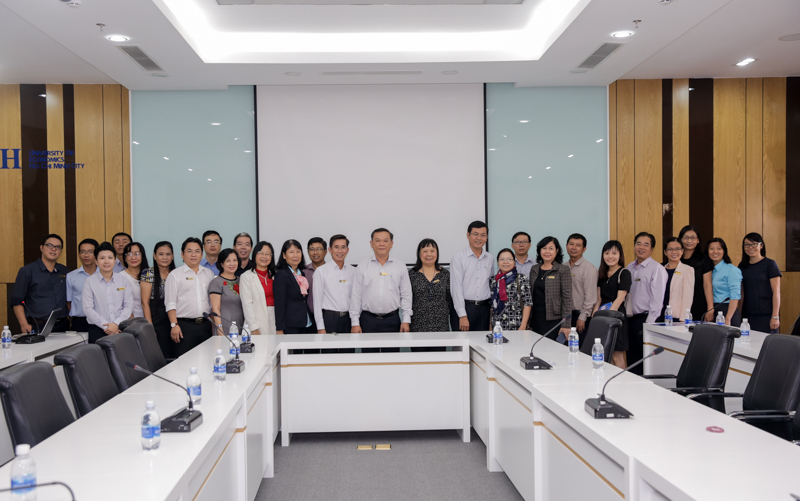 The journal truly affirmed its position as the prestigious business science journal in Vietnam with widespread influence in academics, macro and micro managers and policymakers. 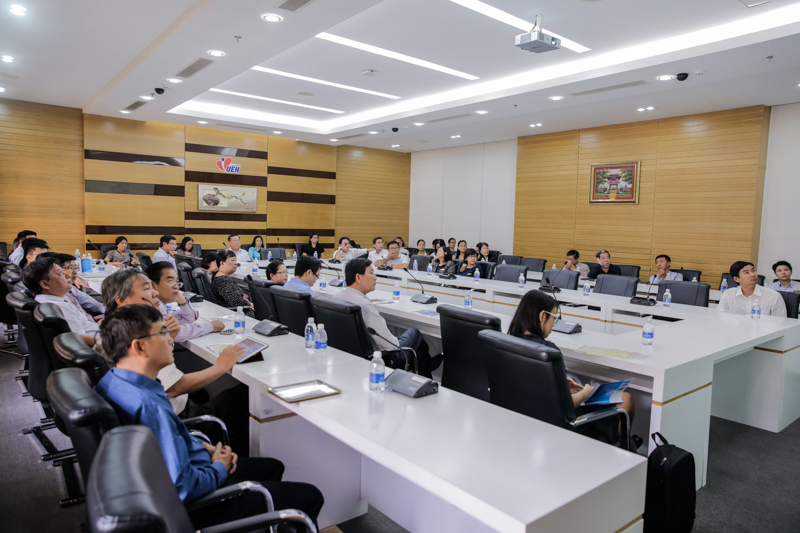 The journal is currently rated as the first scientific journal by the State Council for Professor Title of Vietnam and ranked in first position in scientific scores when grouped with other domestic academic journals. The Decision No. 4265/ QĐ-BGDĐT on approving the "Upgrading the English version of the Journal of Economic Development to Scopus international standard" project in the period of 2013 - 2017 issued in 2012 by the Ministry of Education and Training is considered the important turning point for the Journal to integrate into SCOPUS-standard scientific journal community in the world. Now, a number of foreign and domestic professors and the leading scientists in economics and business administration have been invited to become part of the editorial board of the Journal. For content, the English version of the Journal of Economic Development has been improved. Thanks to this, one of two Vietnamese Journals is listed in 121 scientific journals in the ASEAN region joining AC database. 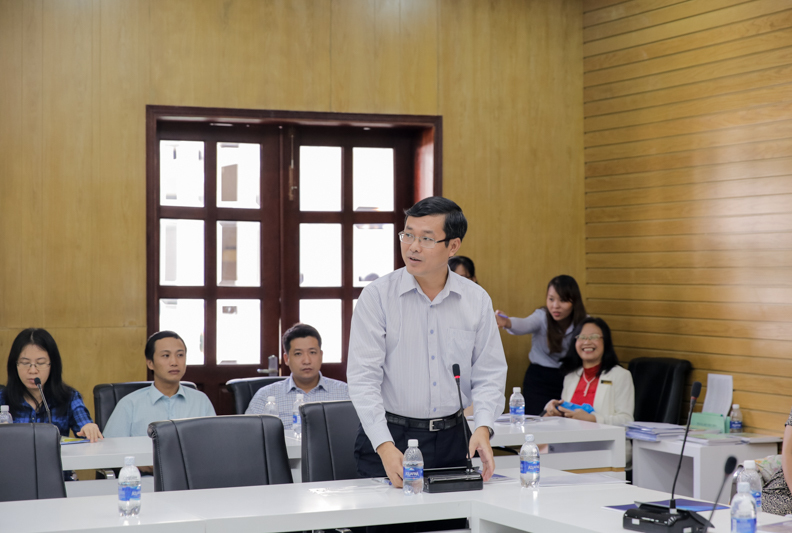 Recently, it has been increased from 1 to 1.2 points by the State Council for Professor Title of Vietnam. Firstly, creating the best conditions for scientists, both inside and outside the university to access online information. Secondly, improving online Vietnamese and English version quality. Thirdly, on the citation, the UEH‘s leaders suggested the Editorial Board of the Journal to pay more attention, and improve in the citation rate of the Journal. Initially, UEH will support the Journal to join in Emerald Group Publishing so that the English version of the Journal can be accessed worldwide. Fourthly, changing the name of the Journal to avoid duplication but keeping its own specific characteristics. Sixthly, the Management Board of the university will support to the Journal in improving its quality, striving to become one of the scientific journals in the Scopus system by 2020. In the event, Mr. Su Dinh Thanh also explained briefly the process of articles submission and review under the Scopus standard. In the criteria of Scopus standards, the Journal is moving towards the following two criteria: (1) International editorial board; and (2) citation rate. The online submission system should be completely user-friendly and follow the procedures of Elsevier and Emerald systems. Thereby, it will show responsibility and transparency and demonstrate the ability of a scientific researcher when approaching global science. Mr. Tran Le Phuc Thinh presenting guideline of Scopus-standard Online Journal and Submission System and answering inquiries. Source: Department of Communications and Public Relations, Journal of Economic Development.